Have you ever been on a Tiger safari in Ranthambore? Or spotted a Rhino in Kaziranga? If you have, the wonders of the wild are sure to have touched you – and perhaps they even made you reflect on our lives in the city – away from the calming hues of the forest. What if you – or the children born in today’s day and age – never get to experience that? This Endangered Species Day is a great time to understand what the threats to some species in the world? Of close to 5,500 mammals assessed by the International Union for Nature Conservation (IUCN), 22.2% are extinct or globally threatened. 1,141 species of these are ‘threatened’. What’s more? More than half of these are either critically endangered or endangered. The rest (about 505 animals) are considered vulnerable, which is one level lower according to the classification. Simply put, this means these animals are very close to extinction and their survival means the survival of our ecosystem and of generations of human beings to come. At WWF-India, all our six priority species – inhabiting the different landscapes and forests of our extremely diverse country – are listed as ‘threatened’ by the IUCN. 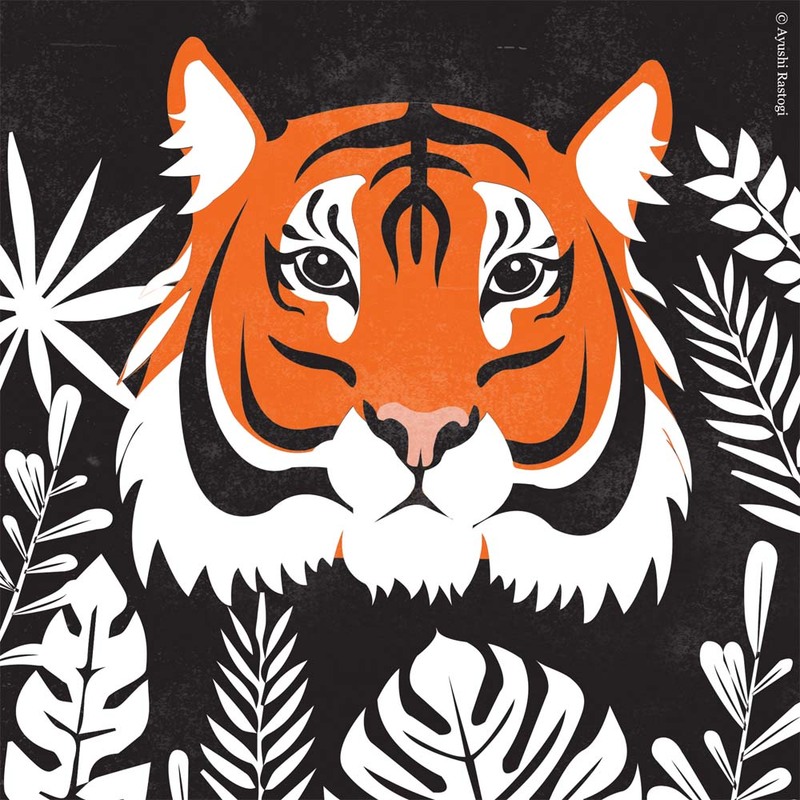 Four of these – the Red Panda, the Bengal Tiger, the Ganges River Dolphin and the Asian Elephant are endangered – while the Snow Leopard and the Greater One Horned Rhinoceros are considered vulnerable. But what makes these species endangered or vulnerable? What are the threats they face? 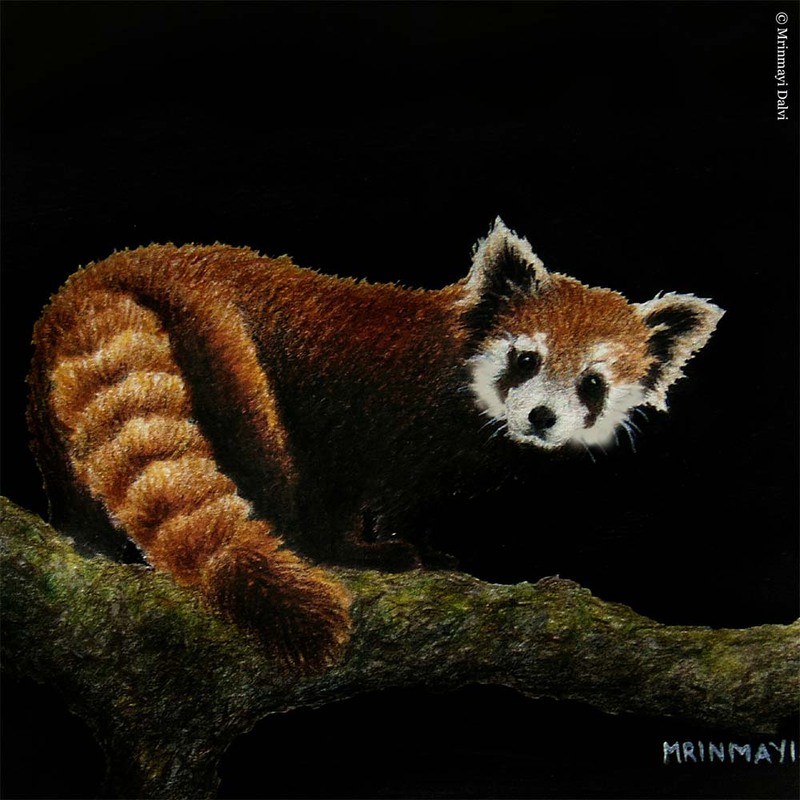 According to the IUCN, the red panda is listed as endangered because ‘’ its population has plausibly declined by 50% over the last three generations and this decline is projected to continue, and probably intensify, in the next three generations.’’ In India, this small mammal found on high trees is found in Sikkim, western Arunachal Pradesh, Darjeeling district of West Bengal and parts of Meghalaya. It is also the state animal of Sikkim. The loss of nesting trees and bamboo is causing a decline in red panda populations across much of their range because their forest home is being cleared. Here are WWF-India’s interventions for red panda conservation – you can get in touch with us to know how you can help! There are 2,226 tigers in India today – with smaller populations found in Bangladesh, Nepal, Bhutan, China and Myanmar. While tiger numbers have increased in the last few years, they are still considered endangered. Why? The growing demand for poaching to meet a market from Asia in recent years has kept the Bengal tiger at risk. The mangroves of the Sundarbans—shared between Bangladesh and India—are the only mangrove forests where tigers are found. However, the Sundarbans are increasingly threatened by sea level rise as a result of climate change, thus threatening the tiger. To help protect this majestic tiger, here are 6 things you can do! 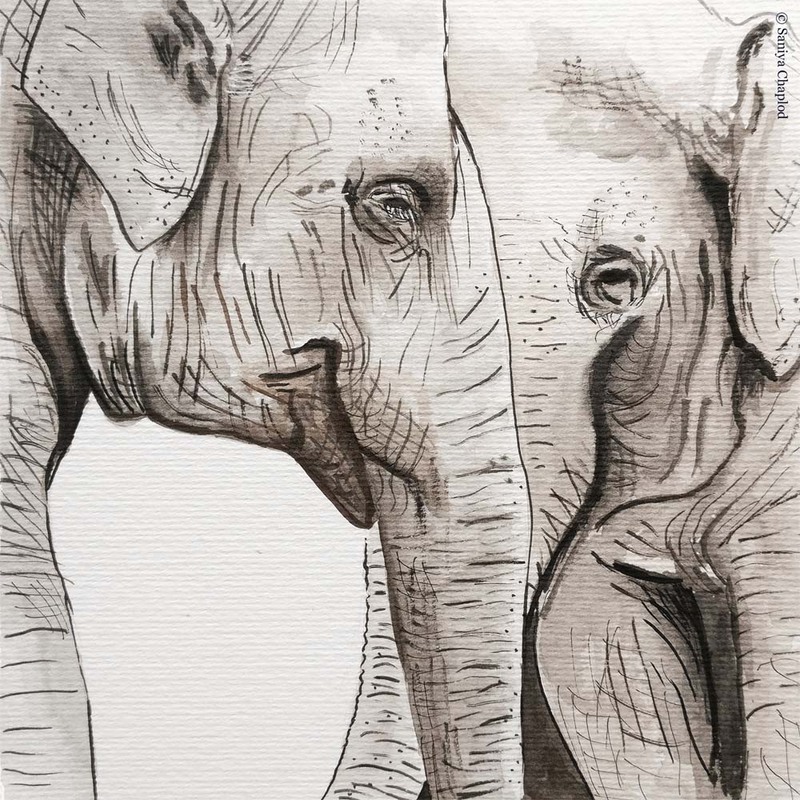 Elephants are not only a cultural icon in India and throughout Asia, they also help to maintain the integrity of their forest and grassland habitats. In India, the Asian elephant was once widely distributed throughout the country, including in states like Punjab and Gujarat. Currently, their populations are fragmented and they are considered endangered because of excessive habitat loss and negative human wildlife interaction and poaching for their tusks. 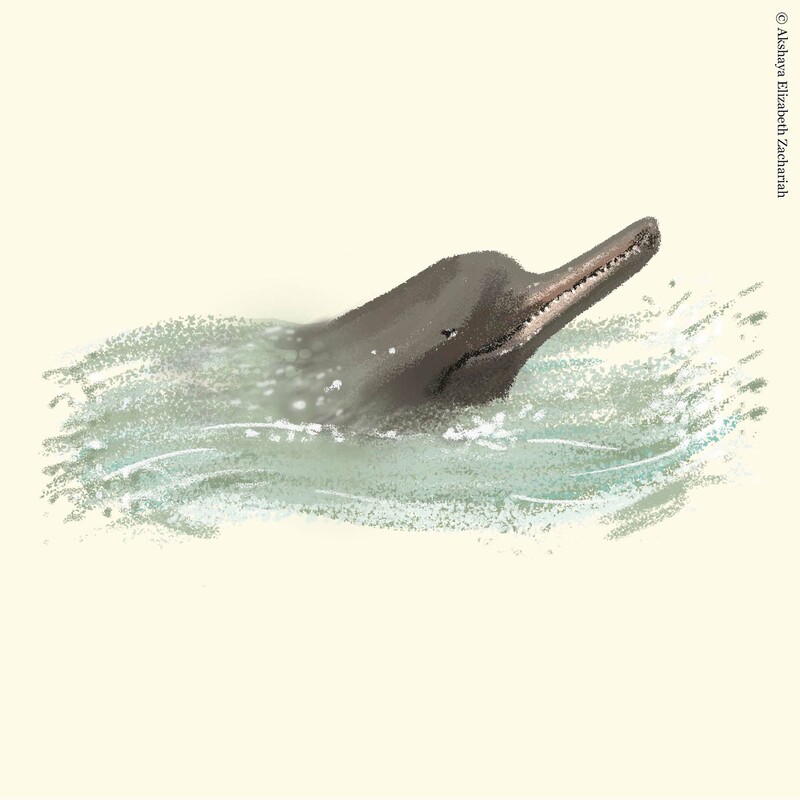 The Ganges River dolphin lives in one of the world's most densely populated areas, and is threatened by removal of river water and siltation arising from deforestation, pollution and entanglement in fisheries nets. In addition, alterations to the river due to barrages are also separating populations. It inhabits the Ganges-Brahmaputra-Meghna and Karnaphuli-Sangu river systems of Nepal, India, and Bangladesh. This vast area has been altered by the construction of more than 50 dams and other irrigation-related projects, with dire consequences for the river dolphins. A recent survey conducted by WWF-India and its partners in the entire distribution range in the Ganga and Brahamaputra river system - around 6,000 km - identified fewer than 2,000 individuals in India. The greater one-horned rhino is the largest of the rhino species. Once widespread across the entire northern part of the Indian sub-continent, rhino populations plummeted as they were hunted for sport or killed as agricultural pests. This pushed the species very close to extinction and by the end of the 20th century, fewer than 200 animals remained. The recovery of the greater one-horned rhino is among the greatest conservation success stories in Asia. Thanks to strict protection and management from Indian and Nepalese wildlife authorities, the greater one-horned rhino was brought back from the brink. Today populations have increased to around 3,500 rhinos in northeastern India and the Terai grasslands of Nepal. Once considered ‘endangered’, these have now moved to the ‘vulnerable species’ list. To know what WWF-India is doing for rhino conservation, click here! There are as few as 500 snow leopards left in India today! For millennia, this magnificent cat was the king of the mountains. The mountains too, were rich with their prey such as blue sheep, Argali wild sheep, ibex, marmots, pikas and hares. Snow leopards are found in 12 countries—including China, Bhutan, Nepal, India, Pakistan, Afghanistan, Russia, and Mongolia—but the population of this vulnerable species is dropping. 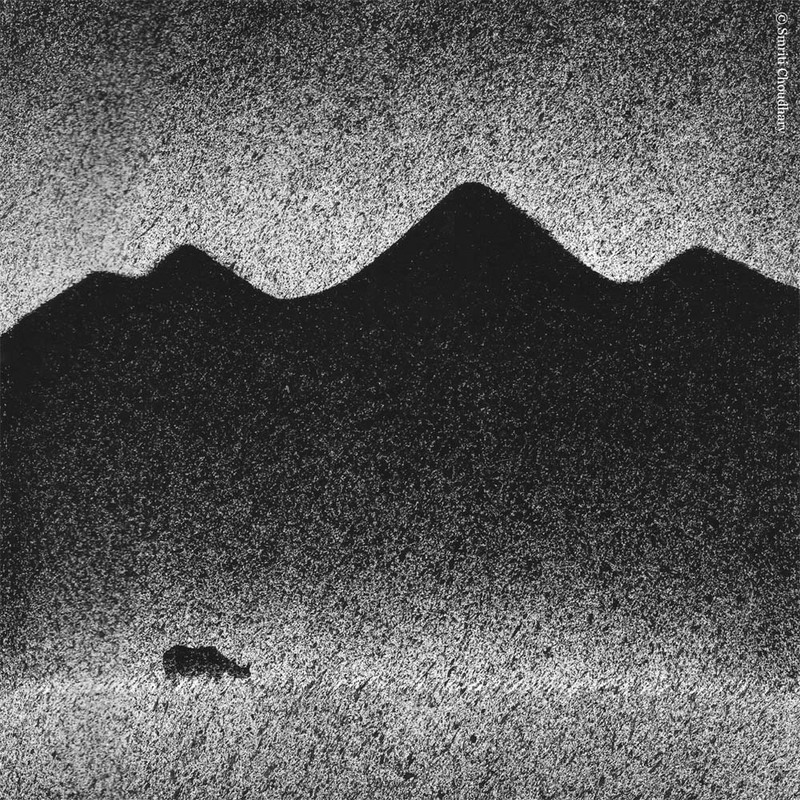 In the Himalayas, the gradual deterioration of their habitat takes them to human habitation in search of food and other necessities, causing many cases of negative human wildlife interactions. They are also poached for their pelts, bones and other body parts. How can you help protect this elusive cat? Click here to find out!